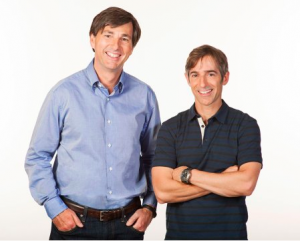 Ben Horowitz penned a convincing, but speculative prognosis on the outcome of Zynga’s recent announcement to install outsider Don Mattrick as CEO. In case you haven’t read it, here’s is the article Shared Command, so you can get the full context of my counter-argument. Basically, Ben gave it the proverbial DOA summation (dead on arrival), on the premise that “Shared Command” doesn’t work, based on his experience and complemented by anecdotal examples. But I am of another opinion on this potential outcome, and I’m basing my assessment on a depth of operational experience,- in my case with small, medium and large companies over the past 31 years. The summary of my viewpoint is: this seems more like Command Partitioning, with a Divide and Conquer approach. Ben’s arguments are speculative because they were centered on a key assumption that past behavior is a good indicator of future outcome, based on the belief that the same behavior repeats itself. If you believe that, then we can end this argument now, and you will be pleased with Ben’s assessment. But if you believe that past behaviors merely inform us and let us do better and take different paths in the future, then that’s where the silver lining of my counter-arguments rests. I’m putting a management hat on, and thinking this through as if I was Don or Mark. First, it is too early to assume that the arrival of the CEO is the “new management structure” itself. There are 2 dynamics at play here. #1,- the working relationship between the Mark and Don, and #2,- the kind of organizational structure they will put in place or re-jig under them, AFTER he starts. Most of Ben’s arguments centered on the assertion that the working arrangement is flawed on the basis of conflicted decision-making that will plague it. So far, we certainly don’t know much about #2, because Don hasn’t even started yet, but I suspect he will probably have a look at the entire organizational structure of Zynga and propose some changes or tune-ups. Structure is important, because the right Structure allows you to be most efficient with the Activities you need to undertake in order to reach your objectives. And Structure affects the relationships between people and the objectives they sign-up for. Structure intricately affects decision-making. But we know very well that CEOs don’t make all the decisions. Empowered employees and managers typically make most decisions, especially in large companies where each group runs according to their own objectives. The scenarios of discordance that Ben points out may not even happen for a while, if that. We can presume that Mark and Don will have their hands full initially, executing what they have already probably agreed upon. I’m pretty sure they have already talked about key priorities for the first year at least. Perhaps not in the details necessary to implement changes or run operations, but certainly as part of a framework of understanding. I’m not going to presumptuously assume that Zynga’s forward plan is trivial, but it seems that what they need to do will include: 1) getting more winning games out, 2) entering new growth markets, and 3) developing a better brand and loyalty connection with users. So, I don’t see where much strategic disagreement will take place. Mark will deliver the products, Don will market them, and they will decide together on acquisitions and entering new markets. I’m sure it’s a bit more complicated than that, but I’ve simplified it. Of course there will be more about the strategy that we won’t know about. Smart companies don’t reveal their strategy. They let it unravel via execution and the realization of results. What we might hear is a coded depiction of the strategy, but the realities of this turnaround will have its secrets. If I were in Mark’s shoes, I would let Don run the show. What do I have to lose? There’s only upside ahead. The stock has already been battered, and some pundits may have even written off Mark’s abilities to resurrect Zynga. Zynga’s quarterly revenues are off a high of $329 million in Q1 2012 to $230 million in Q1 2013. So, he is taking a (well calculated) chance on someone who has both a track record and industry segment experience. And this will be a great time to hire new talent, because they will get the benefits of the stock upside. Zynga’s vision of “Connecting the world through games” is still a largely unrealized vision. They have the makings of becoming a global leader in this segment, if they can figure out how to blend innovation with product demand, coupled with achieving increased user loyalties. And two strong leaders are better than one in this case. Every situation is different. It’s easy to speculate. It’s a lot harder to engineer a turnaround. Zynga is not a startup, and hasn’t been for a while. And this isn’t about whether a startup founder can become a CEO. Most founders don’t make it past managing 500 employees, let alone 100. Zynga has close to 3,000 employees, so Mark has already proved that his caliber is one of a CEO. But if Mark was deficient as a CEO, he will have the benefit of becoming a student of Don’s management. In reality, they will probably school each other. And they will have the advantage of seeing two sides of the coin, as most decisions typically exhibit more than one facet. Ben has provided some good warning lampposts about what not to do. Behind an alarmist tone, some good will come out of this. Just because the issues he mentioned “could” happen doesn’t mean that they “will” happen. Merely exposing them I am sure was a helpful enough benefit to Mark and Don. If Zynga fails, it will be because online gaming has failed, not because Mark and Don were butting heads. Note: If you’d like to read further on this topic, here’s a curated list of suggested articles, and you can get to them by searching the CEO Category in the SUM Library by following this link.